Creating an addictive, challenging and fun match 3 type of game. In order to do this, we needed to focus on creating an emotional connection between users and the product. We had to land a product in the middle of an already adult market, so we had to aim for a good (not great) MVP. 'Good' is perfect for validation and iteration, as it favors time, money and ease of change, so this was the most advantageous and least risky approach. Leading a team of three designers, I was fully responsible for the user experience strategy and psychology research behind the game, and partly responsible for creating the design concept, animations and UI. In this stage I gathered and measured non-conscious triggers, drivers, heuristics and developed the ideas around them. The first step was answering the 'who', 'why', 'when', 'where' and 'with whom' with real data. We learned that instant gratification is critical to a product's success. Starting with the app launch, every step taken by the user in the first session had to be rewarded. Our product had to deliver value that activated a dopamine release in the person using it. This ensured as little drop-off as possible. We also learned that introducing a social side to the game would strongly increase organic user acquisition, create a feeling of involvement, as well as a bit of competition. In this stage we explored unique visual themes that would fit the target audience and their mindset when playing this type of games. 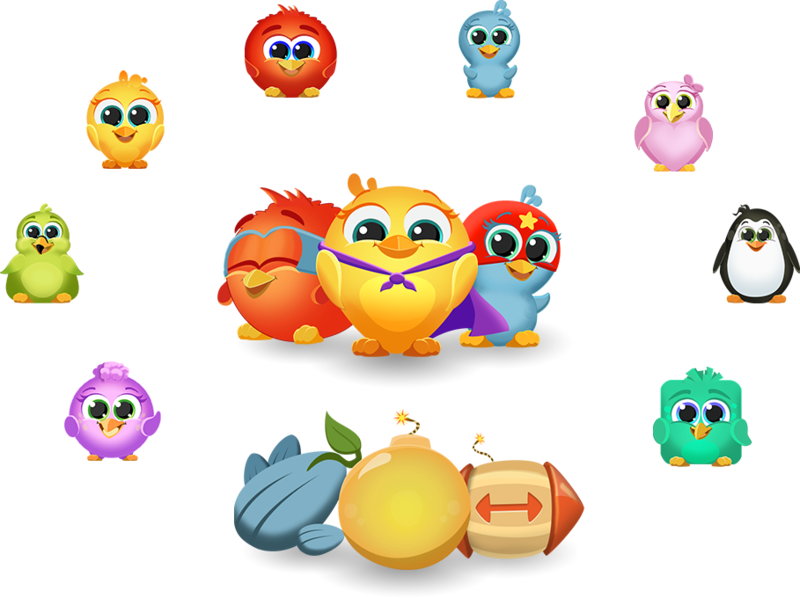 Cute, adorable birds, with a cartoon feel helped the user position himself in a protective, harmless space while playing, helping disconnect from real life problems. The visuals had to infuse a positive experience. But a story is not a story without a villain, thus we had to create meaning and purpose in the game and storyline, making the user be the hero. This helped us optimize the flow from start to end, ensuring that the user's journey will create the needed emotional connection. This increased the conversions and assured a good monetization. 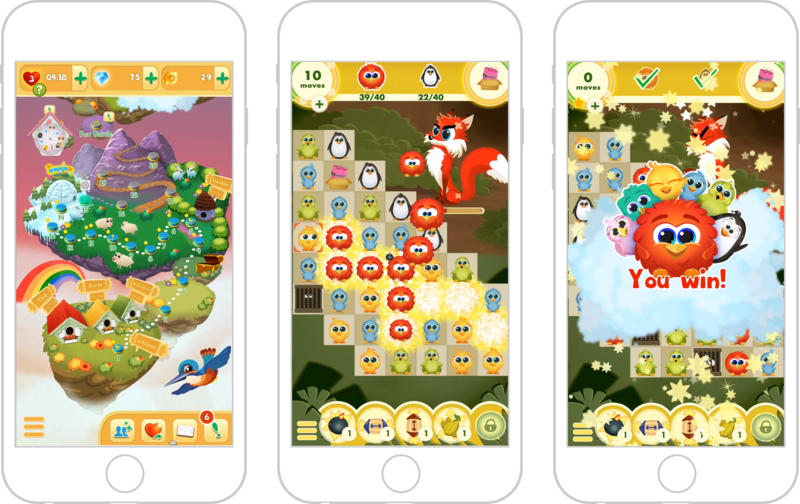 This stage helped make sure that the UI flow makes sense, introducing steps that favoured monetization. Testing went hand in hand with it, validating UI and UX decisions before implementing them. During the creation of all the assets, animations and visual effects I had to make sure that the team is constantly aligned with the adopted style. 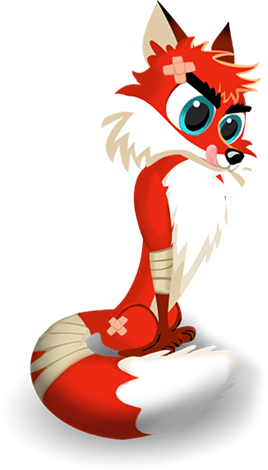 The assets had to be perfectly optimized for mobile, while still inspiring high quality providing the expected feel. ...lasts 50% of the time. Sometimes the race really starts once the finish line is in sight. We had to make sure that every small detail has been taken care of, that the flow is perfect and ensures ease of use. We did user testing throughout the whole process, from concept to the final product. Ideas without user validation have no real basis, so basically every decision had to be tested before launch. The group was formed partially from game testers who ensured that the game had as little bugs as possible, as well as from people who were part of the target audience, covering various ages, social classes and cultures. We knew that there were some gaps in the product, but the only way to figure them out was to do a soft launch and see how real users reacted and interacted with the game. So we needed to see how the game behaved in a scaled environment. However, what everyone wanted was a quick MVP that would help us outline a starting point. It was no surprise for the team that the post-launch feedback reflected the issues that we found during testing. But some of them weren't quick fixes, so we had to go with what we had and make a thorough plan for the upcoming fixes and changes. From this moment on we could rely on statistics, metrics, heatmaps and recordings of real users. And this is the point where reiteration gains even more power. I would've lied if I said that I'm happy with the end result. People in the team and friends asked what my opinion was about the game. I tried to be impartial and realistic in my answer. I would've lied if I said that I'm happy with the end result. Let me explain why. I value simplicity, ease of use and utility. I design experiences hoping to make people happy by creating a product that they need and have fun with. Small and carefully thought details are very important to me. I also believe that spare time should be valued as much as possible, and games have to be a really fun and relaxing moment during the day. At the time of launch, I had difficulty accepting the reality of the end product, knowing what glitches it had. And this was a problem considering how much time was wasted on non-critical features, or things that weren't considered while thinking in perspective. My thinking is not a result of perfectionism, but rather a desire for quality. Quality shouldn't be compromised, not even in the first iteration of the product. I've learned that remarkable experiences are only built when the whole team shares the same values and works together towards breaking the limits and conventions. Despite all this, there are a couple of things that I learned. First of all, what I consider quality might not be critical for a product's success, the most important being if the product is used and how well does it solve the user's problem. Secondly, I am proud that all the team had a good lesson out of this, and launch needed to happen in order to uncover the gaps in the product, as well as in the way we were working. I believe that crafting meaningful experiences takes time, intelligence and open-mindedness. This is only possible when the whole team has aligned vision and values.